On the left map, we grouped Charity Rides that are located close to each other into small circles. Now, you can locate all Charity Rides on the map at the same time. You can also drag & zoom the map. Circle numbers - Count of Charity Rides that are located in and around that circle. Colored circles - Charity Rides that are displayed in the list below. Grey circles - Charity Rides that are displayed on next page(s). Half colored circles - Some Charity Rides in that circle appear in the list below and some on next page(s). Click on circles to zoom in or highlight Charity Rides . Let’s Ride! Join us for the 8th Annual Texas Mamma Jamma Bike Ride to be held on Saturday, September 24, 2016 in charming historic Martindale. Your participation provides care and ... moresupport for those facing breast cancer in our Central Texas community. Who: New riders, seasoned cyclists and everything in between! 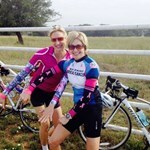 With routes from 15 miles on up to 100, there’s something for EVERYONE at the Mamma Jamma Ride. 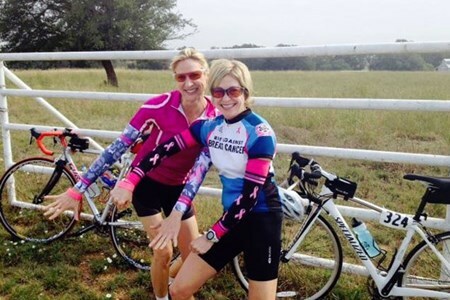 The Texas Mamma Jamma Ride is a 501(c)3 non-profit organization dedicated to helping people facing breast cancer get the care and support they need. 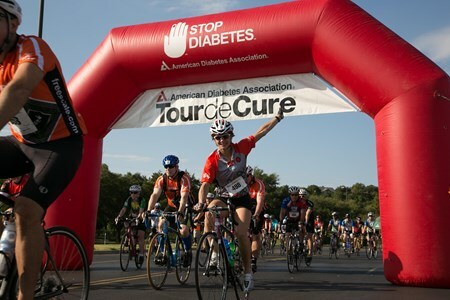 Our amazing community of cyclists, volunteers, sponsors, and beneficiary organizations come together each year to host one of the best supported and most fun bike rides in Texas. Together we have raised more than 2.6 Million dollars to make a difference. Join us! Register for a nominal $25 fee then fundraise the rest of your entry to help those with breast cancer. Riders must raise $300, adult students $200, and children register for $50 (fundraising optional) with a participating parent. Each INDIVIDUAL rider must meet their fundraising minimum in order to participate in the ride. Registration fees help cover the cost of our training program and the money you raise helps those with breast cancer get the care and support they need. Plus, the more money you raise, the more perks get! The Tejas 500 mile time trial race is a RAAM Qualifier. This is our longest event and it will have (3) different start times. The 48-Hour start, takes off on Thursday 6:00 pm, then ... morea 42-hour start (6 hours later) at Midnight and also a 36-hour start at 6:00 am Friday. The object is to have all the riders and teams finish about the same time for dinner and the Awards Bash Saturday evening. The staggered start times make for an exciting event injecting new riders onto the course. This introduction of new riders to the course adds to the excitement of each event and will work to keep riders already out on the course fired-up. All events will end in time for the Awards Ceremony. The Awards Ceremony is a fun place to meet other riders, eat and pick up trophies. With riders from most of the states in the USA and from other countries, the Awards Bash was also an unbelievable reunion (see past rider list on website) of old and new friends. The course is a scenic and challenging 26.5 mile loop. Crews can “hand off” to their riders from the start-finish area, each lap. This venue also allows riders to “crew themselves” from the trunk of their own car, negating the need for an expensive “follow entourage”. The start-finish is a fun place for your crew and/or resting team riders to congregate and allows for a pleasant social atmosphere. Bring the family for a fun-filled day at the races! Riders, crews and teams are encouraged to pitch tents in the park under the large trees creating a tent city with a personality all its own. If 500 miles sounds too challenging, try a four-person team. Team riders seem to make a party out of this event every year! The Texas Time Trials has become more than just a great internationally-known event; it’s a fun-filled ride, a reunion that brings RAAM legends, newbies, randonneurs and world-class Ultra racers together in a social setting to celebrate our ability to ride. This is a great event for the seasoned racer or someone wanting to try their first race. The sale price shown is valid until August 15, the regular price goes into effect after that. Per person late fees go into effect on August 15($25), Sept 1($50) and on race day($85). 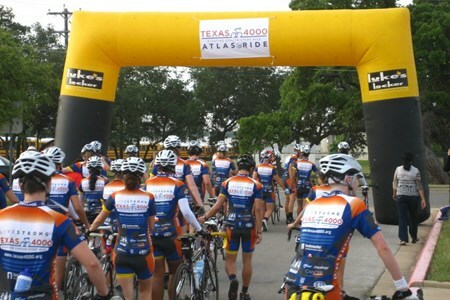 OVERVIEW The Texas 4000 ATLAS Ride is a 700+ person cycling event from Leander to Lampasas where supporters can ride the first 25, 50 or 70 miles with the Texas 4000 team as they start ... moretheir 70-day journey. Enjoy beautiful views, rolling hills and the wildlife of the Texas Hill Country. A post-ride festival will happen at the finish line; festival activities include a barbecue, live music, a presentation by the Texas 4000 team and more! Don’t miss the ATLAS Kick-off Party either before the event. Not a cyclist? Don’t worry! You can purchase a Food Pass at the Finish Line Festival for $20! Food pass includes full plate of BBQ, 2 beer tickets, and 2 wine tickets. If you’re registered to ride, the food and beverages are included in your registration cost. Texas 4000’s mission is to cultivate student leaders and engage communities in the fight against cancer. We share hope, knowledge and charity through leadership development, grantmaking, and our cornerstone event, a 4,000+ mile bike ride from Austin to Anchorage. We share HOPE by letting those touched by cancer know that we are riding for them and fighting for a world without cancer. We share KNOWLEDGE by bringing life-saving information about cancer prevention to communities and providing leadership development training to tomorrow’s leaders. We share CHARITY by contributing to cancer research and cancer support services while developing the next generation of volunteers and philanthropists. Texas 4000 envisions a world where all students can become leaders in creating a cancer-free future. Consider making the trip to Seguin, Texas in 2016 to honor our beloved pastor, father, husband and friend, David Eikenburg, who died tragically in a cycling accident on July 11, 2005. ... moreHe died doing what he loved, but his first love and passion was to share the love of Jesus. Every year we honor him with this bike ride, remembering what he loved, and then to glorify God by continuing David's legacy and passion for spreading the Good News to people everywhere. Proceeds go to Trinity Oaks. The date for our 11th annual ride will be held Saturday July 16, 2016. You can get involved even if you don't cycle. We are always in need of donations and volunteers, so please let us know if you would be interested in serving God through this ministry. Rest stops will be located every 10-15 miles on each route. They will be stocked with water, gatorade, fruit, pickles, cookies and peanut butter and jelly sandwiches. You are sure to be greeted with a smile and encouraging words to get you through the rest of your ride. Rest Stops will be open until the last rider of the group has made it through to that particular rest stop. Our Good Samaritans (SAG wagons) will patrol the routes to transport riders in need to either the next available rest stop or back to the church. There will be a mechanic at the church available to fix minor bicycle repairs before the ride starts. Please be prepared to fix your own flats. Air pumps will be available at each rest stop. At 4:00 pm we will do a final street sweep to pick up any riders that are still on the route and have not made it back to the church yet. This is to ensure a safe return to the church for all riders. Homemade breakfast tacos will be provided for all riders before the ride starting at 6:00 am. After you have completed your designated route, we will also provide a free lunch for all riders beginning at 11:00 am. Rest assure you will not go home hungry. Join us for one more training ride and a sneak peak of the routes offered on Ride Day before the Tour de Cure on September 17 & 18, 2016. 27 and a 44 mile routes will be offered. ... moreThis is also a great opportunity to get your bike checked out by Mellow Johnny Bike Shop experts and to learn some safety tips and rules of the road, provided by Bike Austin. Check- in at 6:30 am. Wheels down at 7:00am (44m) and 7:15am (27m). One water stop will be on each route along with water and snacks provided before and after the ride. FREE Registration for Training Ride! 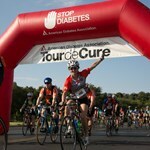 Tour In-Training Contest: Raise $100 by training ride and receive a Tour de Cure throw back Tour de Cure t-shirt!! All proceeds benefit the Cove House Emergency Homeless Shelter, Inc.
Come be a part of this exciting event that just keeps getting better and better! 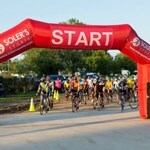 Come join hundreds of other riders as they take on the beautiful rolling hills of Central Texas. We have experienced riders join us as well as parents with their children coming out to have some casual fun together! Whoever you are, we have a ride for you and would be honored to have you come be a part of the annual Cove House Classic Bike Tour! This event is sponsored by Cove House Emergency Homeless Shelter and Bike Central Texas (Copperas Cove Chamber of Commerce). 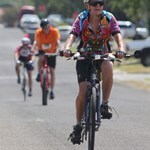 This ride supports the Texas Bicycle Coalition. We are proud to be working together each year for this exciting ride! ALL RIDERS ARE REQUIRED TO WEAR HELMETS. The 2016 Hotter’N Hell Hundred Endurance Ride will be Saturday, Aug. 27, 2016. We will have Mountain Bike Racing on Friday, August 26, 2016 and USA Cycling Criterium races on Friday, ... moreAugust 26th and Sunday, August 28, 2016. We will host the Hotter’N Hell Hundred, USA Cycling Road Races on Saturday, August 27, 2016. Sunday morning HHH will host the half marathon trail run that makes up the final third of the weekend Triple Threat Extreme Challenge. For those that are interested in the Trail Run but not a half marathon, Sandy will also offer a 10k on the WeeChiTah Trail. The Hotter’N Hell Hundred celebrated its 34th annual ride in 2015. The event was a huge success with over 13,000 registered participants along with the largest Consumer Show and Finish Line Village in the history of the HHH. The Hotter’N Hell Hundred grew out of efforts to find a special way for Wichita Falls to celebrate its centennial in 1982. Roby Christie of the Wichita Falls Bicycle Club proposed a bicycle ride – 100 miles in 100 degree heat to celebrate 100 years. The original HHH committee promoted the idea as a unique and fitting event to honor the spirit of Texoma and the people who first settled the area. A consulting company from New York City had proposed a rocking chair marathon, but after lengthy discussion the Centennial Committee agreed with the HHH committee that early settlers were not rocking chair people. Gritty people capable of riding 100 miles in Texoma heat was a more fitting symbol of the tenacity of our early settlers. Mark and Jo-Alice Davis, now of Weatherford Texas, coined the name, Hotter’N Hell Hundred. The rest is Hotter’N Hell History. Some of the original committee members have moved on but Roby and many others remain involved in planning and implementing the event in each of its now 34 years. The committee started with 7 people and is now in excess of 100. During the first year of HHH, there were 1200 riders. 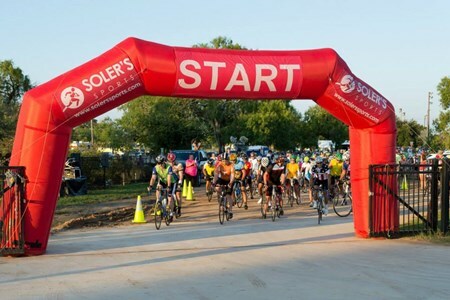 Endurance cycling was relatively new to Texas but 1200 riders celebrated the first year as the largest single day 100-mile ride in the nation. The HHH committee has been a constant pupil in the school of hard knocks. Rest stops during the first year were operated by members of the Good Sam’s RV Club. On-board water, toilets and built-in shade made these RV land yachts appear to be the perfect mobile rest stop. The bicycling event emptied the water tanks, filled the toilet tanks and wore out the small crew of volunteers. Tired or not, the Good Sam’s remained an important part of road support for many years. The early years of medical support would be a nightmare for current day medical volunteers. There was one medical unit at the finish line. Nowadays there are MASH units at each rest stop and at the finish. Medical volunteers treat everything from bees embedded in rider’s ears, to emu bites, road rash, under hydration, over hydration and hard landings. The Hotter’N Hell grew geometrically for several years. 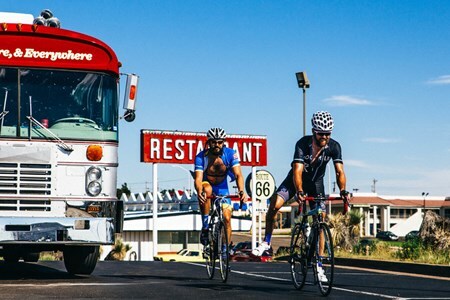 The Hotter’N Hell Hundred is still the largest single day 100 mile bicycle ride in the nation – and one of the largest in the world. 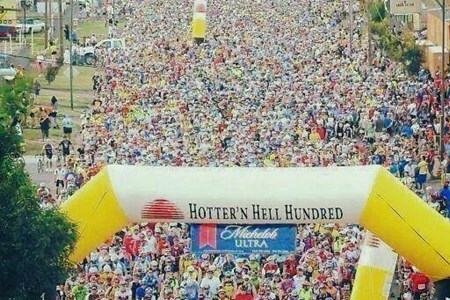 In 2015 more than 13,000 registrants again participated in the Hotter’N Hell Hundred weekend events. 2016 Austin Community Ride - A day of cycling, craft beer, food and fun! By participating in the 2016 Austin Community Ride, your registration fee is helping 1400 Miles probe the ... moreconversation on prostate health. We are making it easier for stubborn men to openly talk about prostate health. Your funds will help 1400 Miles reach our 2016 goal of getting 1,400 men tested for prostate cancer. 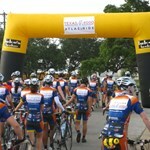 What is the Austin Community Ride? The Austin Community Ride is a fully supported ride through some of Austin's best routes. We have three routes; 24, 46, & 60 miles. After the ride, enjoy food and beer from the (in)Famous Beerliner! 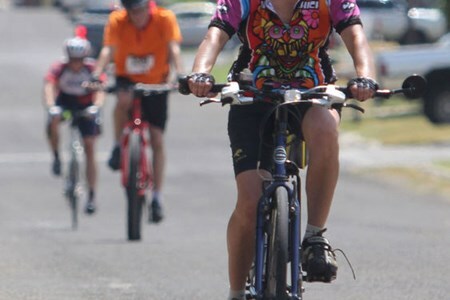 The La Vernia Wild West Hammerfest Bicycle Ride welcomes visitors to our beautiful little country community while encouraging the sport and enjoyment of cycling. 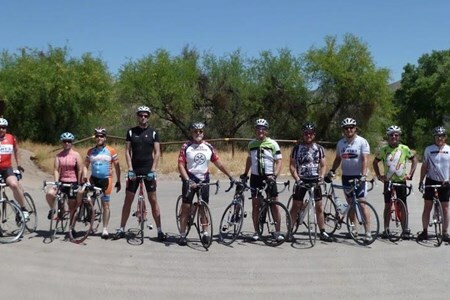 Join hundreds of avid ... morecyclists and experience the gently rolling hills and peaceful back road beauty while riding in the La Vernia Wild West Hammerfest. The La Vernia Wild West Hammerfest is open to riders of all ages and abilities and is hosted by the Greater La Vernia Chamber of Commerce. Our rides are 40, 60 and 72 miles. This is a fully-supported cycling event with rest stops and SAGS. A portion of all proceeds will benefit WISH for OUR HEROES! 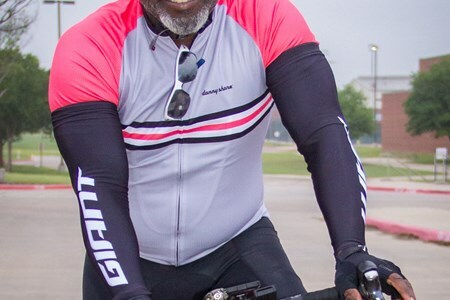 Join Emmitt Smith on September 17, 2016 for a NEW 100-mile bike race that will take place in the DFW-area. The Emmitt Smith Gran Fondo is a premier multi course cycling event designed ... morefor the professional to the weekend rider. It includes a timed race for the 100 mile course with a cash purse. The inaugural race will launch from Dr Pepper Ballpark in Frisco on Saturday, September 17, 2016 and includes a post race party with a beer garden, live entertainment, family activities and awards ceremony. 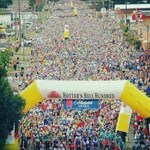 Please contact Lauren Parker at lparker@ejsmithenterprises.com for information on how to volunteer at the race. 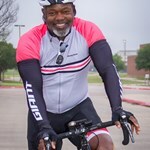 All proceeds from the Emmitt Smith Gran Fondo go to Pat & Emmitt Smith Charities, a 501c3 nonprofit charity that creates and funds unique experiences and educational opportunities for undeserved youth.